Ethics & compliance officers may want to watch the latest corporate governance scandal unfolding at CBS, where the broadcaster’s chief compliance officer seems to have played the starring role in a whistleblower retaliation claim that cost CBS $9.5 million — and reminds us, yet again, how perilous it can be to subordinate ethics and compliance to the legal function. 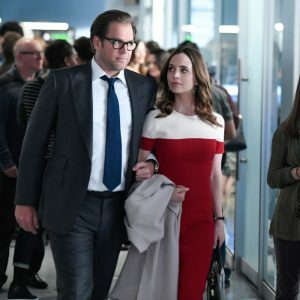 The scandal involves actress Eliza Dushku, who contends she was written off the show Bull in 2016 after she made complaints about sexually offensive language from co-star (and long-time CBS money maker) Michael Weatherly. Originally, Dushku said, CBS and production company Amblin Entertainment had planned to keep her character as a regular on the show for at least four seasons. Then Dushku complained about Weatherly’s remarks, and suddenly the showrunners were proposing to scale back her character to a recurring, rather than regular, role. Dushku declined, and her character disappeared from Bull after only three episodes. Dushku went into mediation with CBS in 2017, and in January 2018 the network agreed to pay her $9.5 million. That’s roughly the same amount Dushku would have made, had she remained a regular for the full four seasons. The plot twist: at some point during negotiations, CBS chief compliance officer Mark Engstrom released outtakes of Bull that showed Dushku swearing on set, believing they would strengthen CBS’s rebuttals of her claims. Instead, the outtakes captured the alleged harassment on film. All this was revealed in a New York Times article last week, which was only the latest in a long series of media reports painting a damning picture of CBS under its now-former CEO Les Moonves. Those reports documented numerous allegations of harassment and retaliation against Moonves. He resigned from CBS in September after more than 20 years as CEO, and the allegations prompted CBS’ board to commission an outside investigation. Although [outside] investigators praised Mr. Engstrom for his “tremendous institutional knowledge” and described him as a “smart and very capable lawyer,” they said the company’s failure to recognize the instances of harassment caught on tape was a symptom of larger problems at CBS, according to the draft of their report. Mr. Engstrom declined to comment. First, the caveats. Nobody has seen the outtakes in question, beyond Dushku and CBS. And while the New York Times has seen a draft of investigators’ report into the corporate culture and sexual harassment at CBS, that report has not leaked to the public. Regardless, Engstrom’s actions prompted several corporate ethics and compliance officers to express their annoyance to me over the weekend. How could Engstrom not recognize the harassment on these outtakes? Why would he seek to discredit Dushku by documenting her use of bad language on the set? Actually, that female compliance officer hit the issue right on the nose — because not only is Engstrom CBS’s chief compliance officer; he’s also associate general counsel and head of labor law. Engstrom was doing his job as CBS’ top labor lawyer, trying to reduce legal liability for the company. Complicating matters even more: according to Deadline.com, Moonves himself intervened in Dushku’s complaint about Weatherly. The dispute was happening while CBS was in merger talks with Viacom, and a complaint against Weatherly, one of CBS’ biggest stars, would be a disaster for Moonves. So at the least, Engstrom was trying to resolve Dushku’s complaint about retaliation from the perspective of a corporate defense lawyer, with business and financial pressures added by a (then) powerful CEO. We should also note that Engstrom has been at CBS for more than 30 years. If allegations against Moonves are true — and we have no reason not to believe them — then Engstrom spent much of that career either watching or helping CBS to make harassment allegations go away. What’s missing from this picture? A thoughtful, sincere respect for ethics in corporate culture. This drama is, simply, yet another example of why a strong ethics and compliance function should not report into the legal department. This drama is, simply, yet another example of why a strong ethics and compliance function should not report into the legal department. Ethics and compliance officers are supposed to be guardians of a strong ethical culture. That means they need to know the law, to craft compliance policies. Some might even need to be lawyers, to conduct investigations with attorney-client privilege. But cultivating a strong ethical culture is fundamentally different from, and sometimes at odds with, the corporate legal function. It just is. That’s what happened here at CBS. Business interests led the company’s legal department to scuttle Dushku’s retaliation complaint by buying her off with a confidential settlement. That wasn’t illegal. It just put the interests of some CBS stakeholders (Moonves and management) above the interests others (employees and customers). An ethically astute organization would see the trouble in that choice. It would see that resolving a dispute according to the Moonves Method lets a retaliation culture fester. A strong, independent ethics and compliance function — one not tethered to the legal department’s duty of reducing liability for the company — would have been able to warn that stifling a speakup culture leads to disaster eventually. Instead, CBS had an ossified corporate culture, a board of mostly older men supporting another older man as CEO, unresponsive to the changing ethical attitudes of their customers, employees, and consumers at large. Engstrom is a product of that culture; in that light, his actions seem quite natural. Let’s hope other companies can avoid that trap.